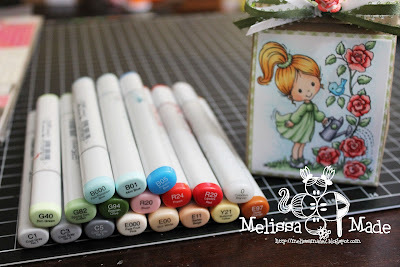 Today we have a color challenge at iCopic - us your green Copics! I created this little gift bag with adorable stamp from Stampavie by Penny Johnson called Little Tobie Watering the Roses. 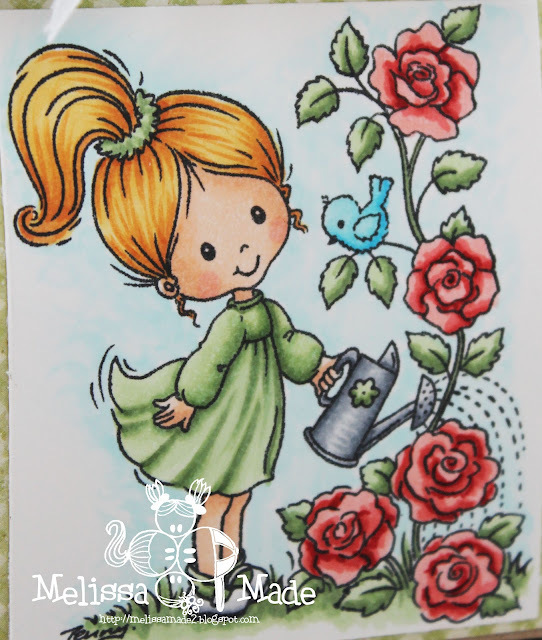 The image was stamped in Memento Tuxedo Black Ink and stamped on Curious Cryogen White paper. The image was colored in the following Copic markers: Click on the image to enlarge! The Curious Cryogen White is a fabulous paper to go with your markers as the paper has a great sparkle! It adds the perfect little touch to a project. Honestly - I really liked coloring on this paper too. It seems just a bit more absorbent then the X-press which could be a good or bad thing depending on your coloring style. 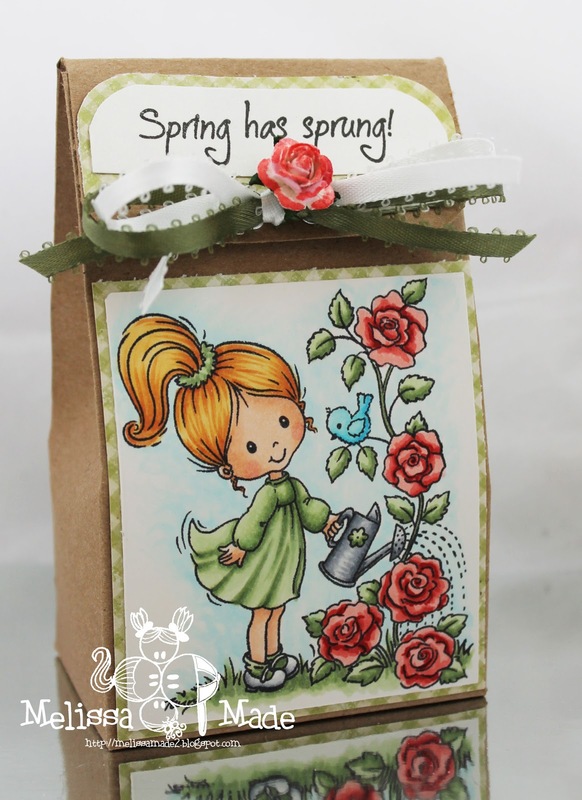 The sentiment "Spring has Sprung" is from the new My Craft Spot stamp sets!!! I LOVE them all and you will too!!! Please join iCopic for our Green challenge! Oh Melissa, this is the absolute cutest gift bag! Love the image and of course your coloring is amazing. You do have my address so you can send me that litle gift bag, right lol? That is so stinkin' cute!! I love the image and the way to attached it to this tiny bag, perfection! Aw, so sweet Melissa! She's adorable and this little dress up of the paper bag is genius!! Love it! Just looks at all of those beautiful roses! Love it!